Rollers are an important part of your garage door that keeps it functioning normally. Using good quality garage door rollers is important to ensure the life of the garage door opener and the door. These rollers run in the tracks to hold the garage door in position. In fact, the smoother the operation of the roller, the lower will be the resistance while opening and closing the door. Garage door rollers can be made of steel, nylon wrapped steel, or plastic. Steel rollers are available with or without ball bearings, and plastic rollers are only available without ball bearings. Nylon wrapped steel rollers, on the other hand, are available with normal ball bearings as well as with sealed bearings. The standard sizes in which wheels are available are one, two, and three inches. As per the experts who deal with garage door rollers Tustin, the rollers found in standard residential garage doors are of two inches, but actually measure 1¾ inches. The stems with which the roller attaches to the door can be made of steel, stainless steel, or zinc-plated steel, and are available in different diameter and lengths to suit different commercial and residential applications. Garage door rollers are available in stem sizes ranging from four inches to eleven inches. The commercially available garage door rollers are available in stem sizes 4, 7, 7¼, 8½, 9, 10, and 11 inches. All these different sizes have different applications. The commercial garage doors can be much heavy and will need reinforcement from long stems to handle the extra weight of the door. The long stems will offer reinforcement to the door when it is in the open position, as the stem will support the weight of the door. As commercial garage doors can be up all day, it is important to use tempered or hardened steel stems. If you notice that your garage door is making too much noise, the rollers of the door might be falling apart. It can be a difficult job to find the proper roller for your door from the different sizes and options available in the market. 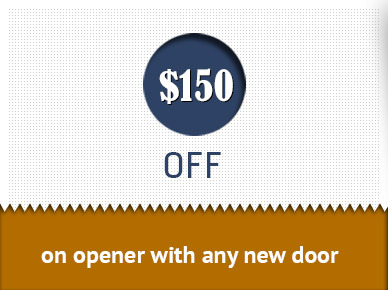 So it would be better to contact the best garage door repair service Tustin technician to find the issues with your garage door and to fix it properly.